Elkhead Reservoir will be open to motorized boats starting Memorial Day. This aerial photo was taken last spring. Elkhead Reservoir is closed to motorized boats until Memorial Day, but that doesn’t mean people aren’t finding other ways to address their itch to play in the water. Whitewater enthusiasts already are cruising on parts of the Yampa River, and other floaters are dipping their toes into the reservoir. But, while it’s warming up, people should remember to practice safe recreation, Moffat County Sheriff Tim Jantz said. People should not start floating the river unless they’re taking out whitewater crafts, Jantz said. Floaters could get hypothermia very easily, Jantz said. And, when people do go out, they need to take the proper safety equipment. Mike Porras, public information officer with Colorado Parks and Wildlife, agreed. “Things can turn very tragic very quickly if they’re not careful,” he said. Elkhead Reservoir used to open as soon as the ice melted, said Ron Dellacroce, park manager for Yampa River State Park and Elkhead Reservoir. But since the zebra and quagga mussels have spread across the Midwest and — evidence suggests — into Colorado, the state has taken a proactive stance to protect lakes. Park staff are required to inspect boats before they launch and before they leave the park area. That inspection usually just takes a few minutes, he said, unless your boat is dirty — then you need a scrub down. Or if you’re new to the lake, you might need to undergo a more thorough inspection. “People will literally go hands-on your boat,” Dellacroce said, to detect any of the small mussels. 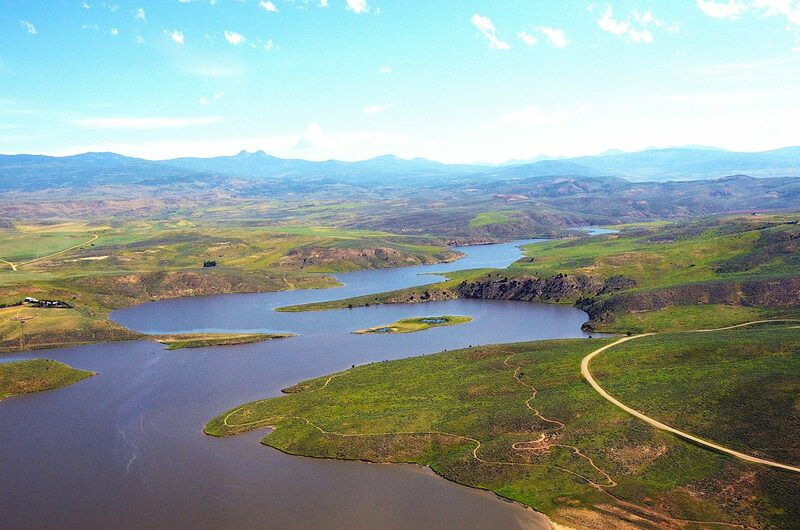 So far, park staff at Elkhead Reservoir have not seen a single mussel, but it still is close to lakes that have seen infestations, so the reservoir is considered at high risk, Dellacroce said. “We’re mandated by the owners of the reservoir. If the lake is open for boating, we have to be there to inspect,” he said. It is a necessary process, even if it slows down the rush toward recreation, Dellacroce said. The mussels are highly invasive. Females produce three million offspring in a season, he said. And the mussels can get into city pipes and other infrastructure. So, it’s imperative that the park service prevent an infestation, he said. “Any time you’re on the water, we strongly recommend lifejackets,” he added. One life jacket per person is a required standard for people taking to the water in paddle boards and boats, and highly recommended with any other water recreation, he said. Water enthusiasts with motor boats should anticipate a normal season, from Memorial Day to early October.